I think my company is a federal contractor and has regulatory obligations, but where can I look to search for that information? Doing business with the United States federal government can be very lucrative, but it comes with a price. That price arrives in the form of reporting obligations, recordkeeping, outreach, and much more. Failure to comply with all applicable regulatory requirements can also have steep consequences, so it is very important for federal contractors to ensure they are doing all that is required. Companies are sometimes unaware that they are a covered contractor or subcontractor and, thus, find themselves unprepared for an Office of Federal Contract Compliance Programs (OFCCP) compliance review. In an effort to better prepare for these types of situations, this article is intended to provide some practical information and resources about federal contractor thresholds and where to look for federal contracts. Small business owners have lots of items on their to-do lists. In addition to actually running the business, there are many administrative tasks required to make sure that you meet the applicable small business size standards and maintain those standards year-after-year (in order to avoid, or at least minimize, vulnerability to an SBA size protest). Among the (sometimes admittedly) tedious tasks associated with remaining eligible for small business contract awards is registering in the required government databases. Over the past five years, this process has been considerably streamlined by the rollout of the System for Award Management (www.SAM.gov). SAM is a no-cost, government website where contractors must register and provide certain identifying information about their business. One of the areas covered by a SAM profile is a business’s size – and specifically whether it qualifies as “small” under the applicable size standards. Remember: SAM.gov registration is free, and help with SAM is free, too. Want to get paid? Don’t let your CAGE code expire! Keep SAM happy, and your CAGE will be alright. Let’s explain that first sentence. CAGE stands for Commercial and Governmental Entity, another code. The government automatically creates and issues your business a CAGE code once you properly register in SAM. Having a CAGE code is very important because without one, your business is not eligible to receive U.S. Government funds — and that could mean you won’t be paid for contract work you are performing. So, to restate the first sentence: If you keep your SAM registration up-to-date, your CAGE code will stay active. SAM requires all registrants to update their records at least once a year. Now, with a change that takes effect on Aug. 25, 2016, if you don’t keep SAM up-to-date, you risk allowing your CAGE code to expire. There is a saving grace: If you allow your SAM registration to lapse, you can renew it. In turn, the CAGE system will pick up your SAM renewal and reset the expiration date on your CAGE code. Remember, there is no fee charged to register in SAM and no cost to obtain a CAGE code. If you need help with SAM registration or verifying your CAGE code, the best place to get help is your nearest procurement technical assistance center (PTAC). 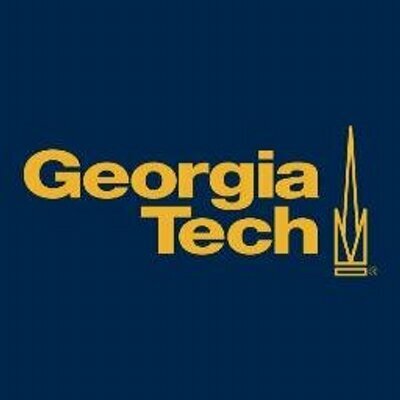 In Georgia, that means the Georgia Tech Procurement Assistance Center (GTPAC). To see a list of GTPAC offices and staff, visit: http://gtpac.org/team-directory. A proposal has been made to amend the Federal Acquisition Regulation (FAR) to clarify System for Award Management (SAM) vendor registration requirements. The proposed change to the FAR also will correct an inconsistency in representation and certification requirements. The proposed changes were published in the May 20, 2016 edition of the Federal Register which may be seen here: https://www.gpo.gov/fdsys/pkg/FR-2016-05-20/pdf/2016-11977.pdf. Comments on the proposed changes must be submitted not later than July 19, 2016 in order to be considered in the formation of the final rule. Instructions for submitting comments appear in the Federal Register notice. The clarification called for by the proposed FAR amendment is driven by the fact that current language in the FAR is not consistent in terms of whether offerors need to be registered in SAM prior to submitting an offer or prior to award. FAR clause 52.204–7 states that an offeror is not ‘‘registered in the SAM database’’ unless an offeror has completed its online annual representations and certifications. FAR 52.204–8(b) and (d) state that if clause 52.204–7 is included in the solicitation, then the offeror verifies by submission of the offer that the representations and certifications in SAM are current and accurate. FAR 4.1102 states that SAM registration (which includes online reps and certs) must be completed by the time of award. In order to correct the inconsistency cited above, amendments to FAR 4.1102 and 4.1103 are proposed in order to require vendor registration in SAM prior to submission of an offer. In addition, the proposed rule will require contracting officers to use the name and physical address from the contractor’s SAM registration for the provided Data Universal Numbering System (DUNS). Vendors are reminded that assistance with registering in SAM is available at no cost through any Procurement Technical Assistance Center (PTAC). To find a nearby PTAC office, consult http://www.aptac-us.org/find-a-ptac. The U.S. Small Business Administration (SBA) finalized an interim final rule that adjusted monetary based small business size standards (i.e., receipts, assets, net worth and income) for inflation. The final rule was published in the Federal Register on January 25th and will be effective immediately. As a result of these changes, small businesses should review the changes and re-certify their entity’s small business status within their entity’s System for Award Management (SAM) registration at www.sam.gov. Remember, there is no charge to register in, or to update, the SAM database. On June 12, 2014, SBA published an interim final rule increasing all industry specific monetary based size standards (except for size standards for most agricultural enterprises that are set by statute) by 8.73 percent to reflect the inflation that occurred since the last adjustment for inflation in 2008. The changes became effective July 14, 2014. These changes were in addition to the recent revisions as a result of the SBA’s comprehensive size standards review mandated by the Small Business Jobs Act of 2010 (Jobs Act). 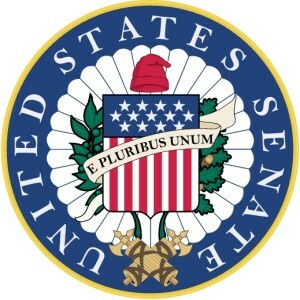 The final rule, as well as the June 12, 2014 interim final rule, can be viewed/downloaded at www.regulations.gov, identified by the following RIN number: RIN 3245-AG60. SBA also adjusted its program specific monetary size standards with the exception of the new alternative size standard based on tangible net worth and net income that applies to SBA’s 7(a) and 504 loan programs. The new alternative standard was established under the Jobs Act and will remain in effect until the SBA establishes a permanent alternative size standard for these programs. The rule also clarified that the size standard exception for “Leasing of Building Space to Federal Government by Owners” under footnote 9 in SBA’s table of size standards applies to all industries in North American Industry Classification System (NAICS) Industry Group 5311, Lessors of Real Estate. The rule also deleted references to Surety Bond Guarantee size standards for contracts awarded in the Presidentially declared disaster areas following Hurricanes Katrina, Rita and Wilma in 2005. It also deleted the determination date for eligibility under the agency’s Economic Injury Disaster Loan (EIDL) Program in connection with Hurricanes Katrina, Rita and Wilma. SBA estimates that more than 8,400 additional businesses will gain small business status under the adjusted size standards and become eligible for SBA’s financial and federal government procurement programs. These changes can possibly lead to $150 million to $200 million in additional federal contracts and 80 additional loans, totaling about $30 million, to small businesses. The size status of small businesses participating in federal procurement programs as either a prime contractor or subcontractor may have changed for some industries as a result of size standards changes published in the July 12, 2014 interim final rule. To reflect the status under the revised size standards, small businesses should review the changes and re-certify their entity’s small business status within their entity’s System for Award Management (SAM) registration at www.sam.gov. A White Paper entitled, “Size Standards Methodology,” which explains how SBA establishes, reviews, or modifies its receipts based and employee based small business size standards, is available at http://www.sba.gov/size. For more information about SBA’s revisions to its small business size standards, refer to “What’s New with Size Standards” on SBA’s Web site at http://www.sba.gov/size. There is no need to pay a fee for government contracting registration – free help is available! The first step in pursuing government contracts is registering in the System for Award Management (SAM), the federal government’s vendor database. One agency – FEMA – has their own database that supplements SAM. Small businesses contractors may also seek special certifications, such as 8(a), woman-owned, veteran-owned and/or HUBZone, or want to explore the potential for a GSA Schedule contract. A number of for-profit assistance providers target small business owners who are unfamiliar with – or confused by – the various government registration and certification processes. They market their services aggressively, sending official-sounding emails directing small business owners to sign-up for their services to be registered or certified – for a hefty fee, of course. Commercial websites (.com websites, in other words) are just that — commercial. When a commercial website advertises to help you with the process of registering to do business with the government, there’s almost always going to be a fee involved. By contrast, government websites (designated as .gov) always offer free advice and registration. Remember: There is NEVER a fee to register as a government contractor. Repeat – there is NEVER a fee to register as a government contractor. And, there is free or low-cost help available to get you through the process. Some commercial enterprises target companies as soon as they begin a government registration process. 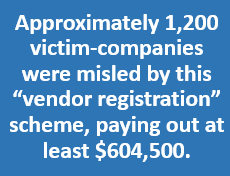 Because SAM and other vendor databases are public, for-profit providers can obtain your contact information almost as soon as it is entered. Once they obtain it, they send automated emails with messages like: “Your registration is not complete. Contact us immediately.” Such messages are not legitimate government notices. When a business clicks the link – or calls the number provided – they are prompted to sign-up for assistance, usually at a cost of hundreds of dollars. One commercial website runs an aggressive advertising campaign directed at businesses, soliciting vendors to fill out a “FEMA Contract Registration Form.” Once the form was filled out and submitted on-line, applicants received the following message: “Thank you for submitting your information. We will be in contact with you shortly. Click below to make a payment of $500.00 for this service.” By clicking on the “Buy Now” button, businesses are directed to a site to pay $500.00 via a PayPal account for “FEMA Registration.” Other marketing campaigns by similar outfits target veteran-owned businesses, women business owners, 8(a) applicants, and others. Please know that neither SAM, FEMA, nor any other government agency charges money to register as a vendor. Most business owners can navigate SAM, FEMA, and other registrations quite successfully on their own. For those who’d like help with registrations, certification applications, or any other government contracting issue, the Georgia Tech Procurement Assistance Center (GTPAC) provides free, expert assistance with registrations, certifications and all other aspects of government contracting, offering classes, one-on-one counseling, electronic bid-matching services, advice on proposal preparation, matchmaking/networking opportunities, and much more. GTPAC’s counselors have backgrounds in government acquisition offices and/or prime contractor government contracting departments, so they bring real world experience to help you. Of course, there are circumstances in which it makes sense for a small business to pay a consultant for specialized legal or financial help or for intensive project development, and there are many qualified professionals to choose from. As with any business decision, thorough research into qualifications, costs and realistic expectations and deliverables are keys to determining the right solution for your business. Never let yourself be pressured into a hasty decision or enticed by an “easy fix.” Careful due diligence is always the best investment you can make. On October 8, 2015, GAO upheld a $46.5 million IT task order awarded to OBXtek, Inc., finding that the U.S. Department of the Air Force was not required to recertify the contractor as a qualifying small business because OBXtek had small business status on the date of its proposal submittal. With an estimated value of $46.5 million, this task order is well in excess of the $10 million threshold for GAO to hear protests related to the issuance of task orders under indefinite-delivery/indefinite-quantity contracts. See 10 U.S.C. § 2304c(e)(1)(B); 41 U.S.C. § 4106(f)(1). OBXtek was listed in the System for Award Management (SAM) as a small business when it submitted its proposal for the task order on December 19, 2014, but in February 2015, it changed its status in SAM to “other than small.” This change came after OBXtek had properly qualified under the Alliant government-wide acquisition contract, a service-disabled, veteran-owned small business (SDVOSB) indefinite-delivery/indefinite-quantity contract from the General Services Administration.